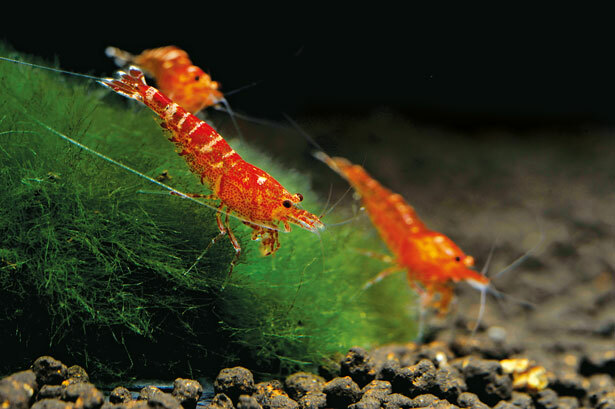 The shrimp hobby is still very new in comparison to the keeping of tropical fishes, but it is already subject to certain trends and fashion waves. 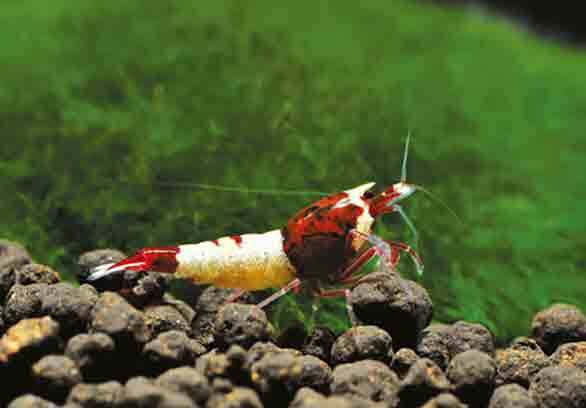 Seven years ago, when I founded the International Shrimp Championship in Germany, the interest of the early shrimp enthusiasts focused on the Red Bee Shrimps, those red and white shrimps with such attractive patterns. 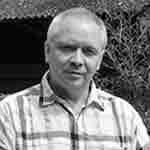 Over the years new varieties have been added, which is why it became necessary to update categories in shows and competitions. Friedrich Bitter, judge and editor of CARIDINA. There are currently 11 show groups. Consequently, at a meeting of the organizing team, we incorporated the current trends in the hobby and divided the breeding forms of the so-called Shadow Bee kinship into several groups, while all forms of Red and Black Bees were combined into one. This classification is certainly not set in stone and may change in the future. 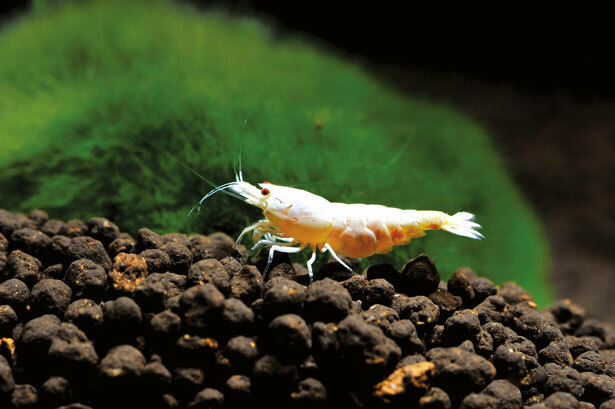 The International Shrimp Championship, traditionally the first highlight of the year for shrimp breeders, took place earlier this year for the seventh time at the Pet Fair in Hanover, Germany. 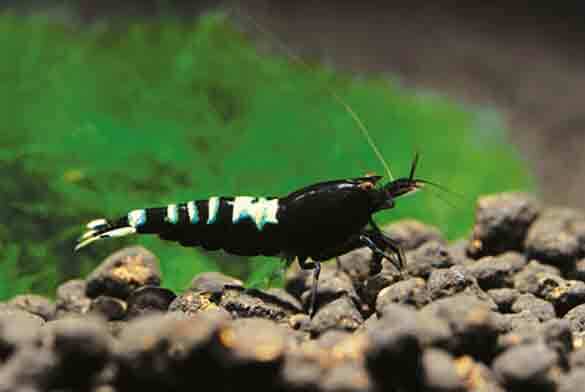 The framework has not changed significantly since the first championship: shrimpkeepers compete with their best breeding sets for group and show wins. The show-winning prize is endowed with €1,000 (approximately $1,150 US)—a considerable sum when one considers that the exhibition animals hardly ever reach 1.2 inches (3 cm) long and are less than two years old. 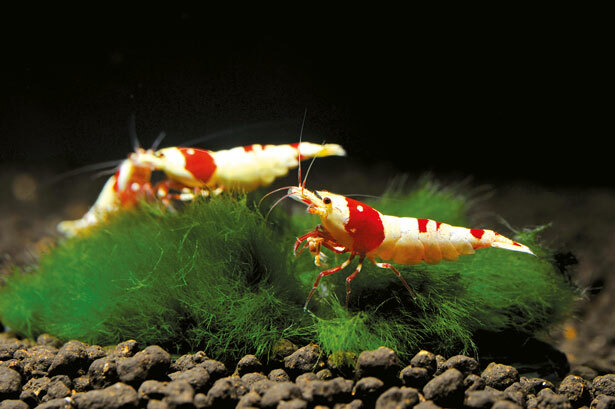 A few exhibition sets did not make the deadline, so about 100 of the 120 available tanks were occupied with shrimps. In the remaining tanks I placed some wild shrimp forms and dwarf crayfishes to offer variety to the visitors. The Shrimp Championship was generally well attended; in terms of the animals, it would have been nice if they had been a bit larger. 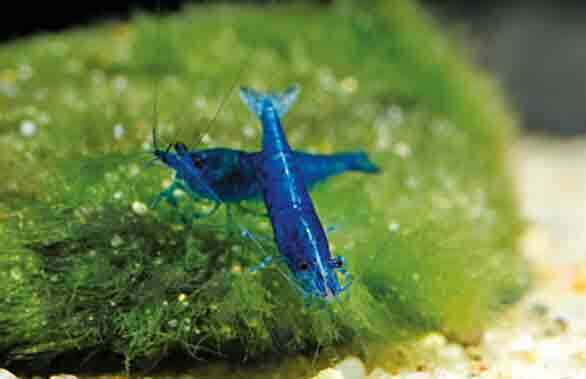 For the experts there were few surprises in the different varieties of Neocaridina davidi (Groups 1–3). We did note that there were more animals with blue or black coloring. 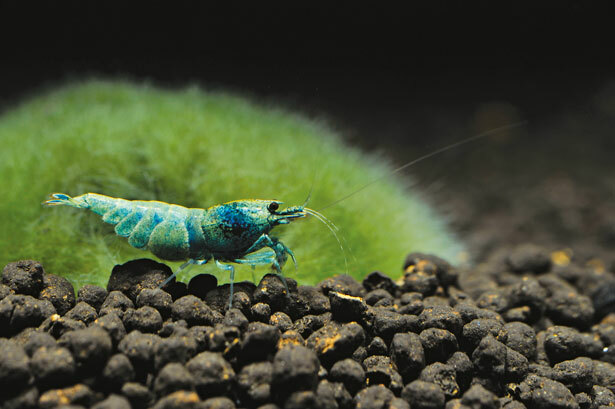 There were relatively few entries among the often monochromatic breeding varieties of tiger and bee shrimps (Groups 4 and 5), even though these are traditionally strongly represented in the hobby. As expected, more entries were placed in Group 6 (Red and Black Bee), in which some wonderful exhibition sets were shown. In Group 7 the various “Bolt” forms provided a good overview into the huge range of colors and patterns that the so-called Shadow Bee or Taiwan shrimps offer. In Group 8 the classical Shadow Bee forms, such as Panda, King Kong, and Wine Red, were shown. For the professional audience Group 9 was very interesting, as it contained a number of Pinto variants that have especially intense and high-contrast color patterns. Many visitors paid special attention to the exhibition sets in Group 10. 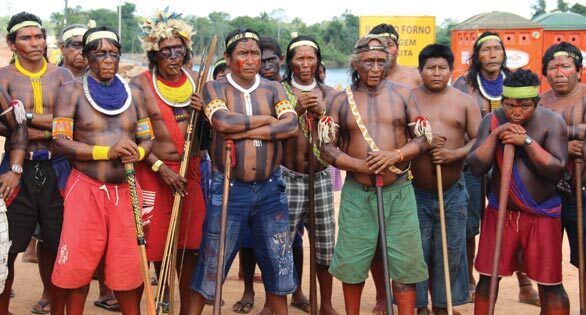 This group contained representatives of the Shadow Bees, whose patterns correspond to those of the classic fancy shrimps (Red and Black Bees). Unfortunately, there is still a great deal of variation in the patterns of the Taiwan shrimp, so breeders must put enormous effort into creating stable patterns. Group 11 is reserved for all-new breeding forms. With only seven exhibition sets, the number of entries was below average, but this is because many breeders go public with new strains only when they have enough specimens and future work with the animals is assured. This group also contained the overall show winner, a set of high-quality pure Snow Whites by Marcus Hafermann. This set actually should have been placed among the monochromatic Red Bees in Group 6, but it would have been the group and show winner in any case. This public event was the German premiere for this strain. The seventh International Shrimp Championship at the Pet Fair in Hanover, Germany, again vigorously beat the big drum for the aquarium hobby. We have high hopes that next year, in addition to the known breeders, new people who have succumbed to Shrimp Fever will participate as well. 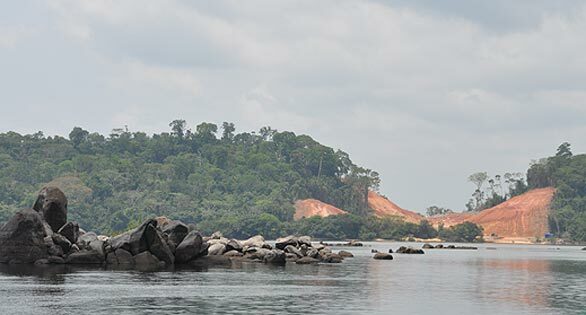 Editor: For Friedrich Bitter’s full report and more winning shrimps images, see the November/December 2015 AMAZONAS.